Stretching is an essential part of weight lifting. A good stretching routine can help to minimize muscle imbalances, prevent injury, improve your exercise tolerance and maximize your weight lifting gains. 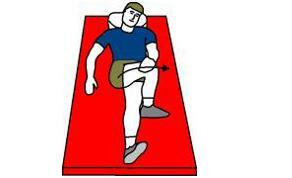 The following stretching program is designed for weight lifters who do not have any current injuries or individual stretching needs. If you have an injury, or a specific mechanical imbalance that may be holding back your ability to lift weights, your Physical Therapist at Stellar Physical Therapy can design a stretching program just for you. When your muscles are warm and relaxed! It is best to do a general body warm up of 5-10 minutes before you stretch, whether you are a recreational or competitive weight lifter. Although weight lifting is not as dynamic as many other sports, the muscles and joints still need to be able to freely move through their ranges. Dynamic stretches (ones involving movement) are best prior to the activity to prepare the muscles and joints for motion whereas static stretches are more appropriate once you have finished to improve your flexibility and to gradually cool down the body. General body warm up (5-10 minutes): The aim of a general warm-up is to get the cardiovascular system going such that it increases the blood flow to all parts of the body especially the muscles. Weight lifters often use a stationary cycle to warm up but any cardiovascular activity such as the stepper machine or even light jogging would be appropriate. 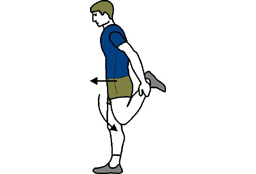 Dynamic stretching: During dynamic stretching the speed and intensity of moving the joints is gradually increased to prepare the joints and muscles for the movements that they are about to undertake. Even though weight lifting is not as dynamic as other sports, dynamic stretches should still be used but can be done at a slower speed than one would use for something like running or basketball. 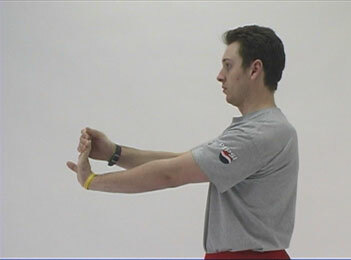 See below for stretches. 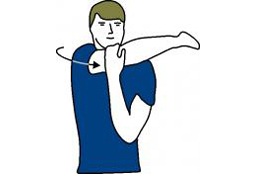 Technical warm up: This part of the warm up for serious weight lifters will include imitating the motions of lifting the weights without the heavy weights in hand. Recreational weight lifters rarely include a technical warm up as part of their weight lifting activity. 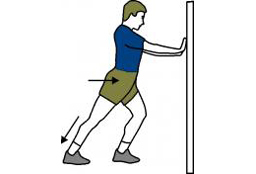 As long as you are mindful of your technique and choose appropriate weights for your activity, a technical warm-up for a recreational lifter may not be necessary. Cool down: A cool down allows the body to gradually return to its resting state and reduces your chances of becoming dizzy or faint after exercise. It also allows any waste such as lactic acid that has built up during exercise to dissipate and may reduce your chance of having Delayed Onset of Muscle Soreness (DOMS). Again, the stationary cycle is an excellent way to cool-down after heavy weights but even casual walking could be used if the space allows. Many recreational lifters omit the cool-down and leave the gym directly after their last weight set. This practice can easily leave your body prone to post-exercise problems such as DOMS or lightheadedness. Static stretches: Commence your stretching regime directly after a short cool-down, before the muscles have cooled completely. 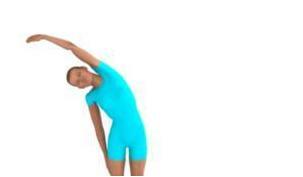 See below for stretches. Start with slow, low intensity movements, and gradually progress to full-speed or full range of motion stretches. Warm up the muscles first. Slowly take your muscles to the end of their range. You will feel slight resistance in the muscle, but you should never feel pain during a stretch. Hold each stretch for 20 seconds. 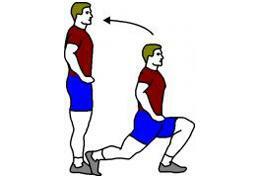 Repeat each stretch 3-4 times. Weight lifting generally targets specific muscles during certain sessions, and so it is difficult to list all the stretches that would be appropriate for the overall sport. Therefore, in general, you should specifically be stretching those muscles which you intend to target or have targeted in your workout, both pre and post-training. For example, if you plan to work the back and chest, you should ensure stretches for these areas are included in your regime. You should also do an overall stretch, particularly of the body's bigger muscle groups since working out any one particular body part still involves the use of the whole body to position and lift the individual weights you require for the more specific exercises.